University Health Care System has been a leader in the Augusta, GA area for nearly 200 years. It has worked diligently to enhance the quality of life for everyone and to provide the highest level of care to the communities they serve. From a simple, grassroots beginning in 1818, University Health Care System has grown into one of the largest and most-comprehensive healthcare providers in Georgia. 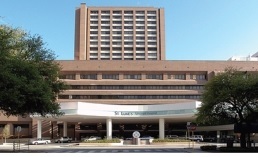 The 581-bed, not-for-profit university hospital is the cornerstone of a healthcare system that provides compassionate and skilled care through comprehensive inpatient and outpatient services, nursing facilities, home health services, prompt care facility and rehabilitative care programmes to a 25-county region in Georgia and South Carolina. 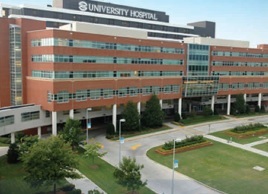 University Hospital was named the Consumer Choice Award winner in 2008/09 for best overall q2uality and image in the Augusta region for the 10th consecutive year. 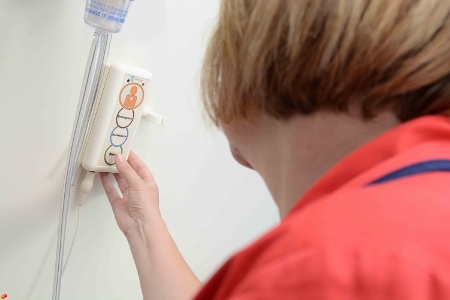 The hospital was facing challenges with the performance and product offerings of their previous nurse call vendor and recognised there was a pressing need to modernise their existing obsolete nurse call technology. Outdated communications systems are disruptive and inefficient. A study by SpectraLink showed that nurses lose 900 hours per year due to paging delays and hold times. The new system would need to provide advanced functionality that would streamline the communication process, improve patient care and ultimately maximise caregiver efficiency when managing patient events and notifications. They need a reliable nurse call vendor and system that they could truly rely on. University Hospital worked closely with Dixie Communication Systems (an Austco Premier Authorised Reseller) who installed the Austco software solution to replace the outdated software package that was previously installed in one of the nursing units in the main hospital. The software was installed on a trial basis for three months at no cost to the hospital, allowing staff to ‘test drive’ the new application. At the end of the trial period, staff had already noticed an increase in productivity and did not want the software removed. The new solution remained and was eventually implemented in the pilot nursing unit. Dixie recognised that the new software solution needed a superior nurse call system that would seamlessly integrate with the new software package and introduced the hospital to Austco’s line of IP nurse call products. Before the new solution was implemented patient calls would ring into a central station that was monitored 24/7 by a member of the clerical team. When an active alarm came in, the clerical staff would answer the call and try to locate the patient’s assigned caregiver. This process proved to be quite lengthy and inefficient, especially if the caregiver could not be reached immediately. Today, with the Austco Nurse Call System and integrated events notification software, calls are delivered instantly to nurses’ wireless devices (SpectraLink phones), eliminating the phone call between the clerk at the central station and the nurse down the hall. This immediate communication ensures that patient concerns are acknowledged and assessed, improving staff efficiency and increasing caregiver mobility. Patients receive the care they need faster and hospital maximises its valuable resources. Bertie M Turner, informatics nurse analyst at University Hospital is a highly-trained ‘super user’ of the Austco Nurse Call System. Bertie conducts systems training to numerous staff members and provides valuable onsite product support to her team. “Having patient calls go directly to their assigned caregiver results in more-streamlined communication, leading to faster response times and ultimately greater patient satisfaction,” said Turner.